What do staging companies in Atlanta and custom home builders have in common? Both pride themselves on developing custom designs for their clients, staying on and ahead of trends, providing quality materials and administering quick, creative thinking. Building a custom luxury home requires expert craftsmanship, patience and innovation. 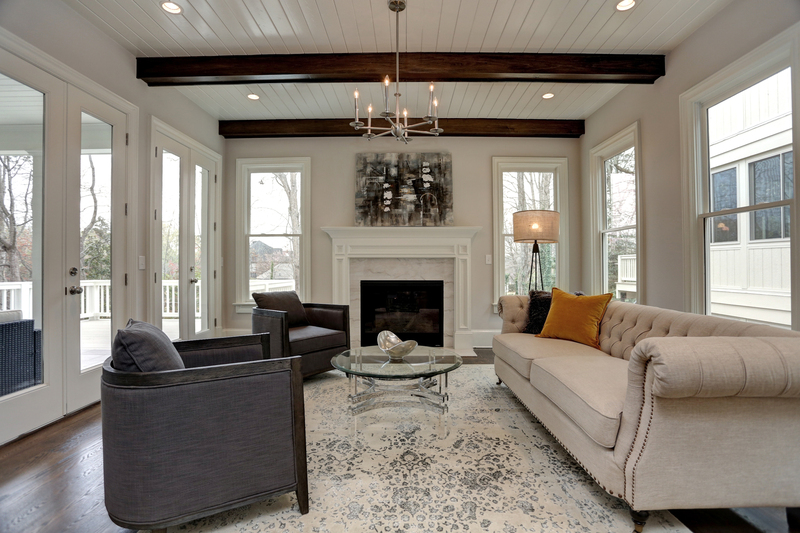 Staging a home demands creativity, a strong sense of design and knowledge of current trends in design and real estate. Design2Sell, Atlanta’s top home staging company, has partnered with amazing home builders to bring their vision to life while showcasing the livability of elegant luxury homes. Once such custom builder in Atlanta that Design2Sell has partnered with on numerous occasions is Stokesman Luxury Homes, a boutique custom homebuilder that specializes in luxury residential new construction in Buckhead. They offer first-class finishes with exceptional and professional craftsmanship that will please even the most discerning buyers. Weinberg has been a leader in Atlanta real estate development over the past decade, while founding partner Bryan Eastman has also established himself as one of the premier custom homebuilders in Atlanta. Together, this dynamic team founded Stokesman Luxury Homes and has since been a successful team of custom luxury homebuilders for over 15 years. They have received numerous awards and recognition, such as being ranked No. 1 in Buckhead by Houzz. In addition, Atlanta Architects named Stokesman Luxury Homes the Best in Buckhead 2018. While Stokesman Luxury Homes builds elaborate custom homes throughout Atlanta, staging the property is what tells the unique story and wordlessly conveys information about the lifestyle a buyer could have if they lived there. It’s not enough to just walk into a beautiful home and see the marvelous rooms. “We believe ‘livable luxury’ best summarizes the style of our homes, and a talented stager, like those at Design2Sell, is able to accentuate this aspect of our homes,” stated Weinberg. Design2Sell recently partnered with Stokesman Luxury Homes on a project located at 3540 Knollwood Drive in the Tuxedo Park area. The long brick driveway leads guests back into their own private haven. The home itself is breathtaking from the moment your eyes set upon it with smooth finishes and a modern, classic look. The large window leading from the living area to the outdoor entertainment area allows for an abundance of natural light to flow through the open floor plan. Design2Sell staged this room with bold furniture but subtle colors to let the light really shine through. One of the most unique design pieces used in this home is the office desk. Made to look like a massive tree root, this desk gives the room an empowering, executive feel. Stokesman Luxury Homes captured a phenomenal video, seen below, to help interested buyers get an up-close and personal look at the beautiful craftsmanship of this home. Design2Sell has also partnered with the Atlanta custom builder on three other properties, one on Blackland Road and two on Barbara Lane. All of these properties brought something new to the table for buyers with classic, luxurious finishes and beautiful interior features. The home located at 38 Barbara Lane showcased a gorgeous master bedroom decorated with sleek black and white décor and subtle mixed metals. The luxury home at 26 Barbara Lane also featured classic black and white décor in the living area, but modern twists including a zebra print rug and pops of color liven the comfortable vibe. In contrast, the custom home at 18 Blackland showcases a luxurious modern farmhouse style with bold wooden beams on the ceiling and stylish rounded seats with hues of gray in the living area. Design2Sell has a proven track record of success with properties ranging from a $300,000 Atlanta townhome to a $5 million-plus Buckhead custom home. To learn more about Design2Sell’s Atlanta home staging services, contact them at 678-505-1433 or visit them online at www.homedesign2sell.com. For more information on the custom luxury homes built in Atlanta by Stokesman Luxury Homes, visit www.stokesman.com or find them on social media: Facebook, Houzz and YouTube.